• The 13 Postures and 13 Principles of Tai Chi Chuan have just been added. • Just added a history section to each Tai Chi style as well as a general Tai Chi Chuan history. See them all in the Tai Chi Forms section. • Yang Style Form Posture Study. Here you will find a chart that displays which posture is in each of the more popular Yang Style forms. • A comparative study on Yang Style Tai Chi Chuan has been added to the Articles section. • Two new articles on Qigong have been added to the Articles section. • The Eight Section Brocade form was just added to the Qigong forms section. 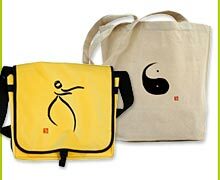 • The Tai Chi forms section has been updated. The T'ai Chi Chuan Yang Style now has multiple forms and postures. 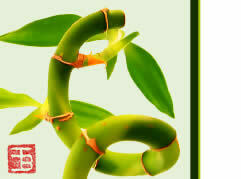 The Chen Style has the simplified form and Wu Style has the long and competition form. 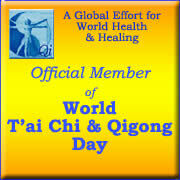 World T'ai Chi and Qigong Day holds an annual event that helps teachers educate the world of the many benefits T'ai Chi and Qigong offer individuals, society, and the world. Tai Chi is the Chinese word meaning the "grand ultimate" and represents the Chinese belief that Tai Chi is the most refined and the best form of exercise for both health and self defense. 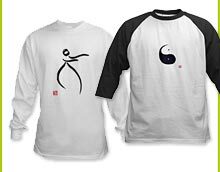 Tai Chi is sometimes written as Tai Qi, T'ai Chi or Taiji, though the pronunciation is the same (tie jee). Likewise, Tai Chi Chuan (the martial art) is also sometimes written as Tai Qi Quan, T'ai Chi Chuan or Taijiquan. Tai Chi Chuan originated as a martial art form. It also is an excellent exercise method which promotes good health and longevity. The consistent and faithful practice of T'ai Chi is reported to have strengthening effects on people suffering with poor health or chronic illnesses.